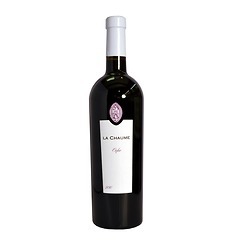 Christian Chabirand did not grow up in a family of vignerons and spent the early part of his adult life travelling and undertaking a variety of work, including taking the position of president of a young company in the Languedoc Roussillon. Over this time he became increasingly interested and passionate about wine and returned to university to study oenology. Following his qualification, he gained experience producing wine in Spain, managing a domaine in Provence and working in other regional organisations within the French wine industry. 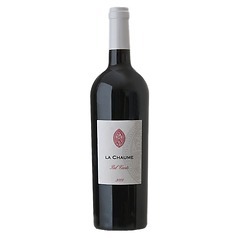 Finally, in 1997 he returned to his birthplace and purchased his own domaine, which was to become Prieure La Chuame. Nothing too surprising, one might think, however, whilst the property that Christian chose was indeed a farm, the 45 ha he acquired had never previously been under vine. Today the domaine has around 14 hectares of vines, planted on a hillside of marly limestone which is rich in microbial life, giving increased resistance to disease. Christian has adopted organic methods of viticulture, short pruning and low yields. 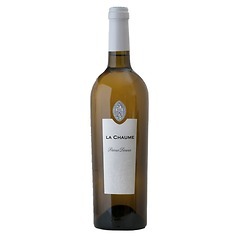 Located in the South Vendee, on the former island of Poitevin marshland, Prieure La Chaume is the most southerly vineyard of the Loire Valley, being equidistant from the Loire and the Medoc. With this in mind, and due to the fact the farm is situated outside the restrictive border of the Appellation Controllee, Christian was able to select the vines he felt most suitable for the terroir and which he most wanted to work with. A choice, which is as far removed from the Chenin and Cabernet Franc I had tasted in the Loire, as it is from Gauntleyâ€™s beloved Grenache, Syrah and Riesling! Reflecting the proximity to the Medoc, the main grape for Christianâ€™s red wines, is the Merlot, with a small percentage of Cabernet Sauvignon and Negrette which he uses in the blend of the outstanding Orfeo. Indeed these wines are probably the closest we will get to working in Bordeaux! Whilst I might have been a little reticent to learn the cepage, I was soon won over by the refined style of the line-up.